The pile of hospital bills proclaimed Pedro’s million-dollar-man status (I think I added them up once, and the grand total equaled about 1.5 million dollars). God blessed us through this entire time with steady employment for me, and an outstanding employer provided insurance plan. But the bills still created a burden. Our actual part of the price tag for cancer consisted of a mere pittance compared to what the insurance company paid. His treatment got cheaper for them once Pedro transferred to a giant teaching hospital in San Francisco because they had an agreement with that hospital that allowed them to write off hundreds of thousands of dollars on each bill. Unfortunately, our expenses increased because we had to travel back and forth between Bozeman and San Francisco and pay for hotel rooms and food—not cheap items. Added to our obligations for deductibles, co-pays, and traveling expenses, were the incidental expenses that I don’t like to talk about. The little things I wasted money on because I was stressed. The new wardrobe I had to purchase because I gained 35 pounds in three months. The duplicates of the new wardrobe I had to buy when I’d leave Bozeman in a hurry and not have time to do laundry and would end up in San Francisco with nothing but a few pairs of clean underwear (hopefully). The bad habits I picked up during that stressful time continued to haunt us. We had enough money to pay our monthly minimums, but we had a hard time making progress on paying down our debt. We didn’t do much to curb our lifestyle (not that we lived extravagantly—we had old vehicles, we didn’t eat out, get our hair cut in salons or buy anything frivolous) because felt we ‘deserved’ to spend a little fun money occasionally on family vacations. We should have been eating beans and rice and rice and beans. For the first few years after Pedro’s transplant, we managed to muddle along—but Pedro didn’t have steady employment (he subbed for the local school district—which is never steady employment and a very thankless, discouraging job). We had managed to purchase an empty lot in a nearby community, and after one year of homeschooling and two years of subbing, Pedro decided that he’d had enough of teaching and wanted to enter the world of construction. The housing market had hit an all-time boom in Bozeman, and it seemed like a logical thing to do. So we took out a loan and started construction on our lot (it never ceases to amaze me that our loan application got approved—after all, Pedro didn’t have steady employment—I’m convinced God had a hand in it) and planned to sell it and make a tidy profit. Pedro and a friend from church (who happened to have a contractor’s license) did the bulk of the work, while I acted as the purchaser of material and supplies and kept track of all the finances and prepared the monthly draws. Several months after we’d started construction on the house, our church offered a Financial Peace University seminar and Pedro and I decided we should attend. When we finally faced our bills and debt, we realized that we owed almost $20,000 in credit card debt. Not good. We also had the building loan and the deadline for completing construction looming. I took on a part-time job (technically, parenting is a full-time job, teaching is a full-time job, acting as a buyer and handling the finances of a building project is a part-time job—so that would mean I was now working three full-time jobs) at a local Christian bookstore. Our new goal? Get out of debt and live debt free. The result? An incredible load of stress. 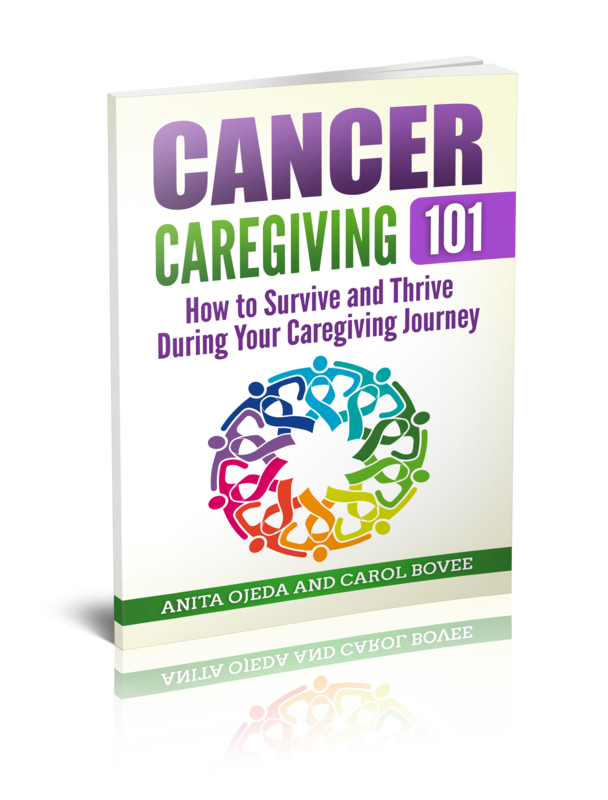 I still hadn’t recovered from my caregiving journey, and now I had taken on even more. I had strange health problems (numbness and tingling in my arms; inexplicable pain that felt like someone had screwed a vise on my lungs preventing me from taking deep breaths; swelling in my back and fevers that seemed to have no origin). Not one of the doctors I went to to try to figure out my strange health problems ever looked me in the eye and said, “Lady, are you stressed out?” I wished they would have. Instead, they ran test after test and declared me healthier than someone my age should be (um, if I’m so healthy, why do I hurt so much?). Of course, this resulted in more medical bills. And more stress. My stress had stress babies. We finished the house in 2008. The housing bubble hadn’t burst yet in Bozeman, although someone had definitely poked a hole in it. Based on his newly acquired expertise in building, Pedro found a good job working for concrete company. For the first time in years, we could actually start paying down debt and pay the mortgage on our house while we decided what to do with it. I kept moonlighting at the bookstore, and occasionally my crazy symptoms would resurface and I’d be laid low (as in I could scarcely walk, sit, stand or lay down without excruciating pain) for anywhere from two to five weeks at a time. The point in sharing all this is simple. In retrospect, I realize that I suffered from incredible stress and probably should have sought a psychiatrist instead of a medical doctor. If you’re a caregiver or recovering caregiver who suffers from inexplicable health problems, consider seeking a cognitive behavioral therapist, a support group, a psychologist—anyone who can help you process and understand all that you’ve been through. Even if you don’t feel like you suffer from stress, you might be living in a river in Egypt. The second reason I share is also simple. Let my experience be a cautionary tale. Keep your finances in order and don’t use stress, trauma or sickness as an excuse to ‘treat’ yourself during your times of stress and recovery. My poor choices ended up causing a lot more stress than the stress I sought to avoid by making frivolous purchases. 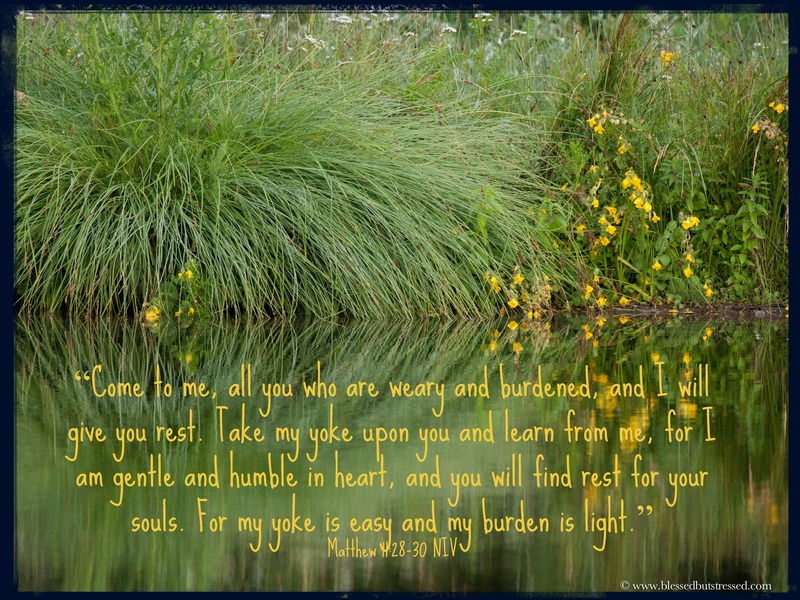 Despite knowing the power of God and seeing his intervention in our lives, I still hadn’t taken to heart the promise in Matthew 11:28-30 where Jesus invites us to come to him and he will give us rest. What have you discovered about your ‘default settings’ during stressful situations? Have you given God a burden, bur declined to take the yoke?